A proper EMT knife is much more than a blade with a star of life on it. Rescue tools help a first responder gain quick access or assess a patient during trauma or medical emergencies. A proper EMT knife is also a rescue tool. This article has put together a list of such items. These items range from a battery-operated pulse oximeter to a monster multi-tool with 16 instruments in 1. The commonality in these items is they all help with patient care in an emergency setting. When selecting a proper tool an EMT or Paramedic, even a Medical First Responder, should think about what sort of job they do. Are they part of a trauma (911) rescue agency, or are they mostly part of a private medical transport agency? A rescue tool/EMT knife should fill either 1 critical role or multiple roles. For example, a pocketknife that also has a seatbelt cutter and a glass breaker. Another key feature to look for is one hand operation. There will be times when a first responder will need to have a free hand but still needs to operate a tool such as an O2 tank wrench. 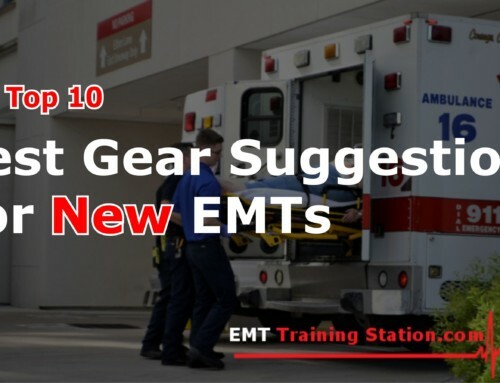 The object of this list is to inform new and veteran emergency workers of the multitude of EMS friendly tools that are on the market. Most of the tools I use I did not learn about till I saw someone else using it. The table below is a short TL:DR (To Long, Didn’t Read) list of the tools covered in this article. What list of rescue tools would not include the Raptor? The Leatherman Raptor is a compact and amazing tool. The name Leatherman is well-known for its various quality multitools. Inside a typical Leatherman, one can find knives, scissors, saws, pliers, etc. EMS providers have a need for specialized tools in their line of work and the Leather Raptor EMS tool fits this niche perfectly. With the Raptor you get 6 tools in one, these exist in a nice compact package that is easily accessible and is able to fit into any first responders kit. These medical shears are made from 420HC stainless steel. 420 High Carbon stainless steel is a high-quality material for bladed implements. 420 Stainless is the same metal used in surgical scalpels for example and the 420HC can be brought to a higher hardness than 420. This makes the blade very resistant to wear. In fact! According to the Leatherman website, these shears come with a 25-year manufacturer’s warranty. 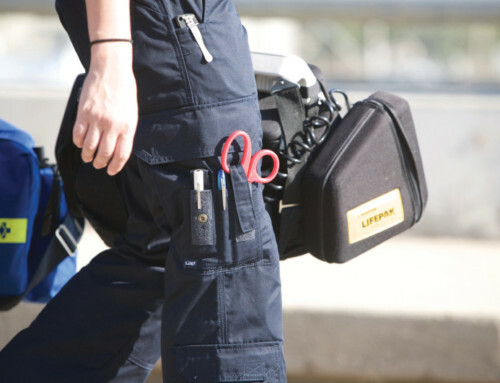 The Leatherman Raptor is a dependable tool for first responders, EMTs, Paramedics, and even Military medical personnel. With the Raptor, the responder gets 6 tools in one. These tools include a pair of 420HC stainless steel trauma shears, a strap cutter, a ring cutter, a 5 cm ruler, an oxygen tank wrench, and a carbide glass breaker. This site has done a full review on the Leatherman Raptor. Price point. Not that the tool is not worth every bit of its price, however, some EMS providers will be apprehensive to spend that amount of money on a pair of shears. Gerber’s Entry into the EMT Knife world is a testament to the brand. The Gerber Gear company was founded in 1939 and almost exclusively outfits hunters, skilled workers, and soldiers. They design and engineer their products in the US and all products come with a lifetime warranty. This knife was designed by knife maker and firefighter Rick Hinderer and is designed as a true rescue tool. This rescue knife puts essential equipment in the palm of the first responder’s hand. The Hinderer is designed to be operated with one hand and includes the following tools: a 440A stainless steel partially serrated blade, easy open thumb stud for spring assisted opening, a hook cutter (great for seatbelt cutting), a window punch, as well as an oxygen tank wrench in the handle. Price – The Hinderer is on the high end of knives and its price reflects its quality. The Second Leatherman Product on this list. The Z-Rex is affordable and an excellent addition to any EMT or Paramedic’s rescue kit. The Z-Rex features 4 rescue tools in 1. With the Rex, the first responder has access to 440C replaceable cutters that are ideal for cutting through straps and other tough materials, an oxygen wrench, a carbide tipped glass breaker, and a hex wrench built into the body of the tool. The tool features an ergonomic grip so that it is safe to use even in wet conditions. The best aspect of this tool is the price point. This is possibly the best rescue tool an EMT can own for less than 20 dollars. The StatGear T3 Tactical Auto Rescue Tool is purpose-built to aid first responders, EMTs, and Paramedics in the extrication of a person from a vehicle. This tool is affordable and effective! It features a 440c stainless steel serrated blade for general cutting needs and a 44c stainless steel hook cutter for cutting through seatbelts and clothing in a safe manner. The tool also includes a spring-loaded window punch that makes short work of automotive glass, as well as a 5 lumen, LED emergency light. This light is bright enough to illuminate tight spaces, but not too bright to use to check pupil responses. The knife comes with a heavy duty nylon sheath. This rescue tool has received praise in various media outlets such as Men’s Health, Tactical-Life, and JEMS. O2 Wrench: Wish this tool had an O2 wrench included somewhere. Perhaps in the handle. The Leatherman OHT makes this list due to it being designed to be operated with one hand. OHT stands for One-Handed Tool. This tool features 16 tools in 1. Veteran first responders can attest to the fact that sometimes you have to fix things on the ambulance. Screws come loose, nuts need to be tightened, etc. The OHT is perfect for many different circumstances. The OHT is the everything tool that screams “it is better to not need a tool and have it than it is to not have a tool when you need it.” This tool is something that can be carried in used outside of the rescue world as well. It is perfect for the responder that wants every possible tool with them at all times. Fiskars cuts boots. Fiskars cut pants. Fiskars cut everything. These scissors are a hidden secret of veteran EMS professionals. They are cheap, easy to clean, and are perfect for cutting fabric. This pair of Fiskars comes with 5 different cutting surfaces and can handle everything from pants and shirts to jackets and boots. This handy addition to a rescue kit comes with a sheath that allows these shears to be added to virtually any rescue kit. It’s simple and effective. The Statgear SuperVizor costs as much as an extra value meal and gives the rescuer access to 2 essential rescue tools. With the SuperVizor, you get a steel glass breaker and a hook strap cutter. The product also comes with a sheath that attaches to any car visor. Basically, you attach this tool to your ambulance visor at the start of your shift and you have easy access to a glass breaker if you roll up to a crash scene. If by chance, you forget to take it off the visor after your shift, its low cost makes it easy to replace. The SuperVizor comes in multiple colors and there isn’t really any reason not to have one (unless, of course, you have a glass breaker on another tool). Pulse oxygen or SpO2 is often referred to as the 4th vital sign with blood pressure, heart rate and respiration. ALS (Advanced Life Support) rigs have a way to measure SpO2 built into their cardiac monitors. However, most basic units do not have this capability. The Innovo Pulse Oximeter is an effective way to solve this problem. This product is accurate and costs less than 30 dollars. Simply put this on the finger of a patient and the EMT has access to real-time pulse and O2 levels. These safety classes make this list due to the concept behind them. The manufacturer states that the O2Amp Paramedic Vein Glasses are made from metamaterials that make it easier to locate veins. The theory is that if the paramedic can locate veins easier and accurately then they have a higher chance of obtaining successful IV access with 1 stick. The Amazon reviews are mostly favorable. However, there are some detractors that state the glasses do nothing for them. The customers that rates these highly have used described these glasses as a “game changer”. These glasses do not work if the person is color deficient, however, the manufacturer has another lens option for colorblind personnel. To use this product, put them on and shine a bright light on the area to reveal veins. Great for a pediatric patient where the paramedic will most likely get one IV attempt. This knife is less than $15. It includes a pocket clip for ease of access. It contains 3 tools: Knife, Seatbelt Cutter, and a Glass Breaker. The Tac-Force EMT Knife is perfect for individuals looking for an everyday carry pocket knife that is useful for the job and is also EMS themed. This knife is spring assisted and easy to open and operate with one hand, even in gloves. The blade is stainless steel as is the strap cutter and glass breaker. It is an affordable purpose-built pocketknife that is meant for everyday carry. The knife is not made from high-quality materials and this reflected by the price point. However, the knife works great for everyday use and is of sturdy construction. Lower quality steel, only means that the knife will have to be sharpened more often than more expensive knives. Compact and easy to add to any EMS kit. Madison Supply’s EMT Belt Kit includes Floride coated trauma shears, bandage scissors, tweezers, and a penlight that includes a pupil gauge. All of this fits into an included belt pouch made of woven nylon. These tools are professional grade and durable. 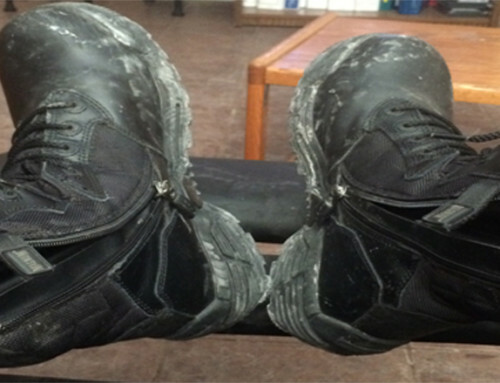 These are perfect for shift use and are perfect for the first responder that encounters rescue calls on a daily basis. Madison supply offers a 60-day unconditional guarantee. Each of these tools is easy to clean and function great under trauma conditions. Madison Supply is a great medical supply company and this kit is a great entry into the mobile needs of the first responder. 5 quality tools and a washable nylon pouch for field portability. None that we can think of. This is a quality item and the Amazon reviews reflect this. 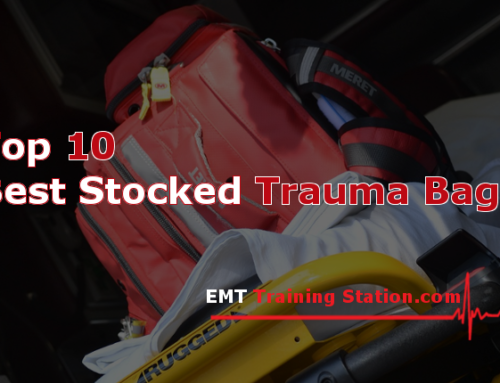 If you have made this far then you have learned that there are amazing tools on the market for EMTs, Paramedics, and other emergency responders. Rescue tools need to be easily accessible and quick and simple to use. Having a personal tool, instead of only using the tools on the ambulance, allows the first responder to quickly access patients with tools that may not be on the rig. For instance, most rigs are not stocked with a glass breaker; the shears are the cheapest on the market and might not retain sharpness long enough to completely trauma strip a patient. For the exact same reasons you should own a personal stethoscope, it is a good idea to invest in a rescue tool that suits your job role. 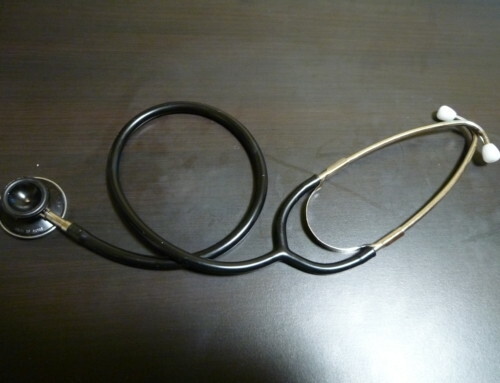 For the exact same reasons you should own a personal stethoscope, it is a good idea to invest in a rescue tool that suits your job role. Does your unit run emergency rescue calls? Probably a good idea to have a Raptor. Do you primarily do Medical Transports? You can probably get away with a less expensive tool, like the SuperVizor or Tacforce EMT knife. Ultimately, the choice of rescue tool or EMT knife is up to the rescuer. If this article was helpful to you then please share and click the heart below to show us that we wrote a helpful article for you.